The statute of limitations is the period in which a plaintiff may file a lawsuit against a defendant for alleged harm. If a plaintiff fails to file a lawsuit in the allotted time period, then their claim can be challenged and tossed out of court. This is why the statute of limitations can be an effective tool for defendants to challenge certain claims. Under Texas Civil Practice & Remedies Code § 16.003(a), a plaintiff alleging personal injury has two years from the date of the alleged injury to file a lawsuit in state court. An example of the power of the statute of limitations can be found in Plumlee v. Pfizer, Inc., No. 14-16924, 2016 WL 6610223 (9th Cir. No. 9, 2016). In this case, the plaintiff alleged she stopped taking prescription medication Zoloft in June 2008 because she thought the drug was ineffective. She then filed a class action lawsuit more than four years later. The district court dismissed the case under Rule 12(b)(6) due to the expiration of the statute of limitations. The Ninth Circuit affirmed the dismissal holding that the plaintiff’s claim that the discovery rule extended her time to sue was not persuasive. Courts have recognized an exception to the statute of limitations known as the discovery rule. This rule is based on an alleged injury that was inherently undiscoverable and evidence of the injury can be verified. See Computer Assocs. Int’l, Inc. v. Altai, Inc., 918 S.W.2d 453, 455 (Tex. 1996). The discovery rule is a limited exception to the statute of limitations and courts often construe the rule strictly. 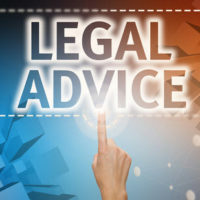 When a plaintiff pleads the discovery rule, your Brownsville defense lawyer should include an argument rebutting the discovery rule claim in their summary judgment motion. This can be accomplished by demonstrating that the discovery rule does not apply to the case or by showing that there is no genuine issue of material fact as to when the plaintiff discovered, or in the exercise of reasonable diligence should have discovered, the nature of their injury. As you can see, it is wise never to underestimate the power of the statute of limitations. An experienced and aggressive defense lawyer can effectively end an untimely claim and it can serve actually serve as a useful lever against class certification. In the aforementioned Plumlee case, the plaintiff tried to save her claim by pleading delayed discovery. Making this argument raised a series of additional questions and issues related to when, whether, and how the plaintiff “discovered” her injury. These issues needed to be addressed both for her claim and the claims of every other class member the plaintiff purported to represent, which can be sufficient to have a class representative removed and effectively challenging class certification. The Brownsville defense lawyers at Colvin, Chaney, Saenz & Rodriguez, L.L.P. are ready and able to put their talent, work ethic, and skills to work for your company. Contact our office to schedule a confidential meeting to discuss your legal options.